Search Wars – Do You Google Yourself? A personal stroll through current Search Engine Optimization techniques. Do you Google yourself? I believe most people do…would you admit it? In managing your brand identity online, I would suggest it. How does your brand reflect in the search results? How can you optimize your search engine results? Three reasons why I am writing about this. 1. I recently designed my own website (my personal brand), and it has been a great learning experience. 2. This article/situation really caught my attention – Google: Bing is Cheating, Copying Our Results. 3. I was curious about what works, what doesn’t, and why. I ran through all the major search engines, focusing on image search term: Joel Bornzin. Text is the easiest option to search on, so searching images is a little more challenging to the search engines. 1st up – Microsoft’s Bing – Pathetic. And for the accusation of copying Google’s results…clearly not in this case. The image search returned one result, a picture of my old high school’s web site alumni list header. Wow. 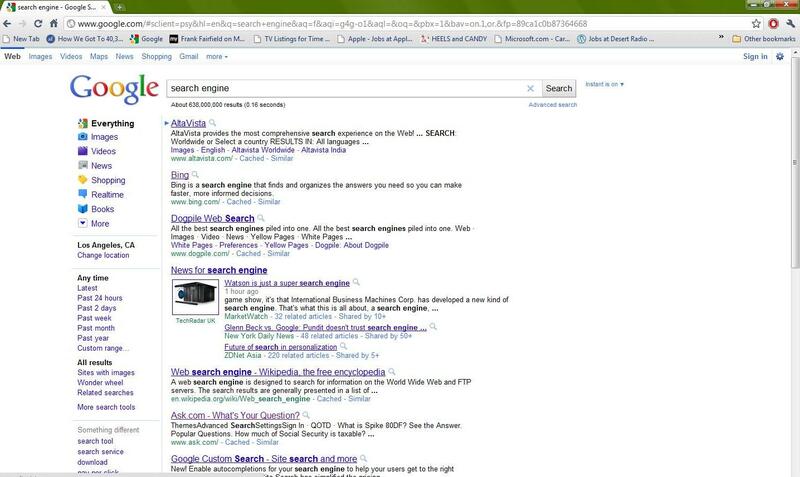 2nd – Yahoo Search – Powered by Bing, same result. 3rd – Altavista – Yahoo announced in 2010 they were shutting down Altavista. The site is still up, results powered by Yahoo (in turn, powered by Bing). No image search option, I think by this time we can see why. 4th – AOL Search – “Enhanced by Google” as mentioned on the site. Good results, about the same results as Google. 5th – Dogpile– Has been gaining a little attention and promotes itself as “all search engine results” in one place. This claim includes Google, Bing, Yahoo, etc. Mmm….seems funky when all that was returned in my image search was the exact same Bing result. Next – Google – Clearly the search leader. Do you know why Google dominates in search? Returned 131 image results, from my own blog images/articles, to album cover art from records that I have played drums on…impressive. One of my favorite things about the results that came up (due to a post I made about the Super Bowl Halftime Show), when you Google Image Search my name right now…Prince is the first image to come up! Of course that will change as successive posts continue to pile on. What works in Search Engine Optimization? – Clearly recent posts matter, so keep your images updated on your site and add often. – Refresh/update the relevant text content. – Insert your name (your brands name) as text on your site pages, so when Google scrapes your site it picks up the name. – Caption your photo with your name (brand) in the caption. So don’t use “My day at the beach”. Instead caption like this example -“Joel Bornzin at the beach on whatever date”. – Clean URLS that are easy for Google to identify. – Links are always a big factor. Link in your Facebook, Twitter, Linkedin, all satellite sites, into your site. So these clicks come in and out associated in reference to your name. – Make your official home site your online hub…your centerpiece. All other sites you have in social media should direct the traffic to your home site. This is a great online strategy for any person/brand. I will leave you with one last shocking observation that I found. If you Google the words “search engine”, Google doesn’t come up? Gaffe. I’m going to Tweet this to Google and see what happens.